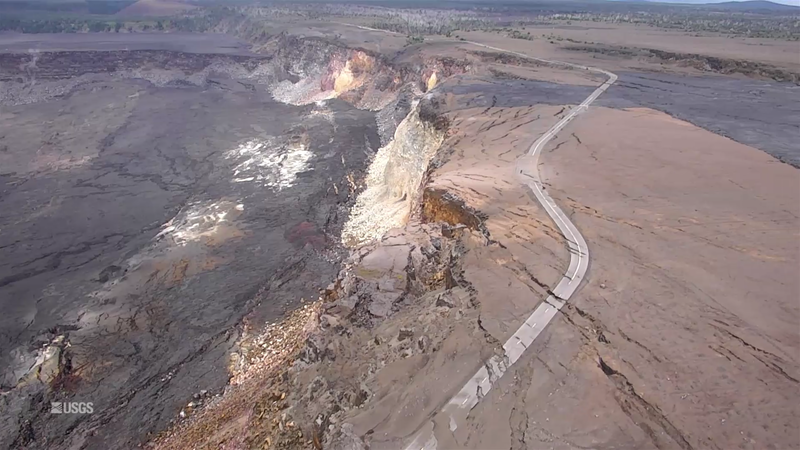 There’s been spots of incandescence, fuming, and small lava flows within the Fissure 8 cone for the past week, a few of which have oozed into the spillway, but eruptive activity remains confined to the cone. These have partly filled in the crater’s deep pit. 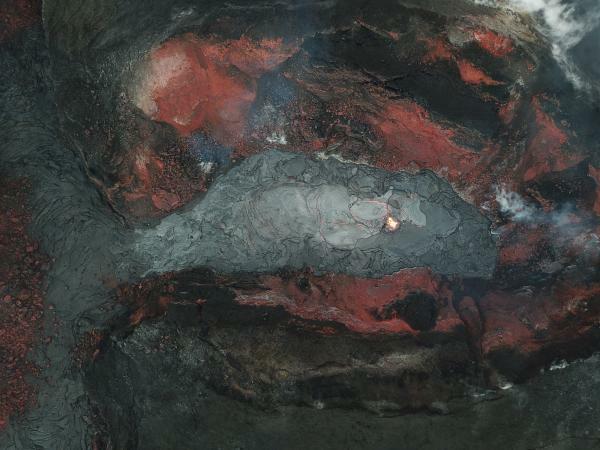 Earlier this week there was a sputtery little mini-cone building on the floor of the Fissure 8 cone. It looks like the USGS is now using drone overflights instead of morning helicopter rides, which is probably a relief to residents living just outside the evacuation zone. 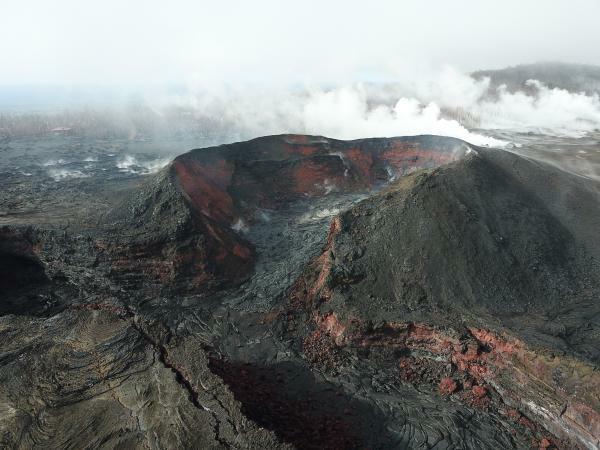 On Saturday, Pu’u O’o underwent some minor collapses throughout the day, sending up intermittent plumes of brown dust. Local tilt/seismicity sensors registered small changes, but these were not reflected further downrift. Sulfur dioxide emissions remain lower than at any time since 2007, including those at LERZ vents which are now so low as to be barely detectable. And yeah, there’s another small hurricane headed for Hawai’i. It’s very unusual for one to make landfall on any of the islands instead of just brushing past offshore, but Olivia looks set to cross the island chain. At 6AM The LERZ was cloudy and steamy, but there’s some great views down into Pu’u O’o Crater. 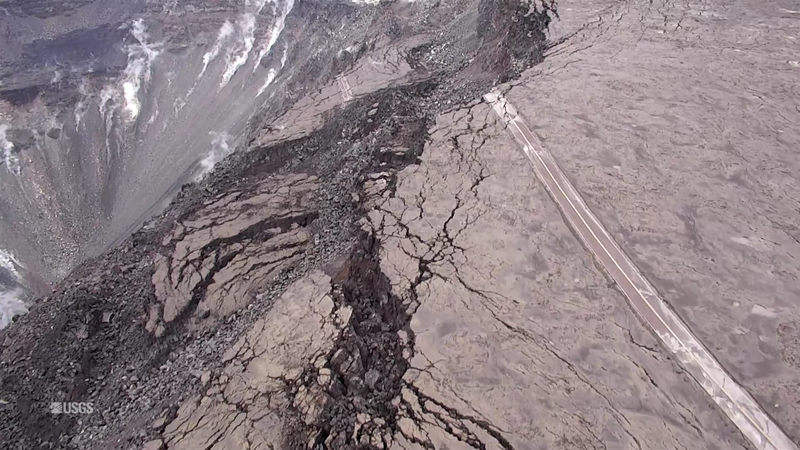 Be sure to check out timestamp 2:00; clear view of Halema’uma’u and summit in the distance. 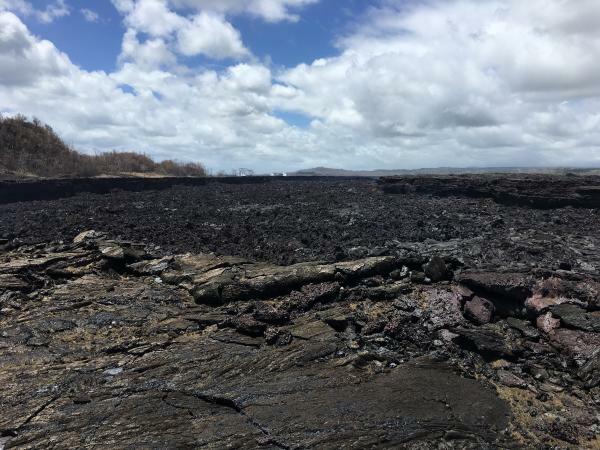 Notes/observations on lava update blog. 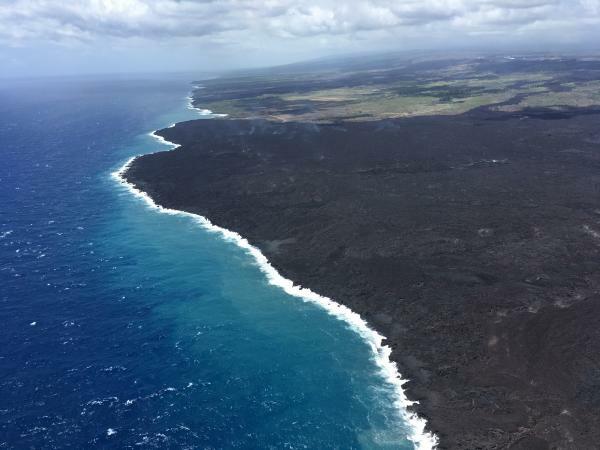 Thursday, Sep 6, 2018, 6:00 am – Kilauea's lower east rift zone overflight: Kīlauea, overshadowed by Mauna Loa. Thursday, Sep 6, 2018, 6:00 am – Kilauea's lower east rift zone overflight: A spectacular view of Halema‘uma‘u, with Kīlauea Iki in the foreground.